Vancouver’s crazy real estate market is leaving older condo buildings feeling increasingly dated and worn out. 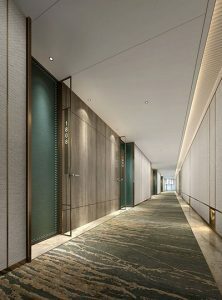 Updating hallways and common areas of older buildings will have a positive effect on the sale of units in the building. Owners putting their units up for sale are usually are the ones who complain about the outdated hallways and common areas. A great place for the strata to start is to poll the residents in the building to find out their though on areas that need improvements. Once all of the info is gathered you can make the best decision on what is right for the building. 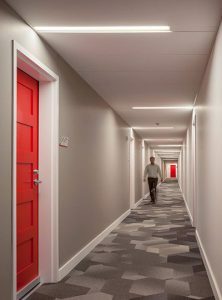 Updating a lobby or the hallways of a building doesn’t have to be a huge job. New paint and flooring is usually the common update most buildings take on. 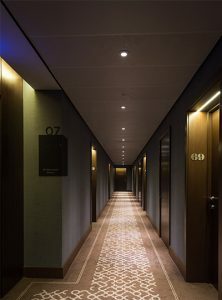 Flooring is the most commonly commented on part of a building because people typically walk with their heads down towards the unit they are headed to. Working on a few buildings in Vancouver we know it often takes a while for strata to organize a renovation in their building. Having a designer come in early to discuss ideas can help them save time and answer early questions upfront.